Oh yeah, did I mention my brother is marrying Aja from the 80’s band Jem and the Holograms? (She’s the one with blue hair.) She got the old band together and we had a fun night on the town. We invited Jerica too, but she didn’t show up for some reason. Before you ask, no, they’re not playing at the reception. It would be rather silly for the bride to be playing at her own wedding, wouldn’t it? And don’t worry, security will be very tight. We don’t want The Misfits crashing the party! Oh that Pizazz, what misdemeanors and felonies will she commit next? 1) Being the only person without animated hair really makes me stick out. 2) I am rather tall, aren’t I? I’m even taller than Kimber’s blown-out hair. Maybe that’s why people are surprised to find out I weigh 180. A shorter girl of my proportions would most likely weigh less. 3) If you were to ask someone to guess which girl in this photo used to weigh 372 pounds, they would only have a 1 in 5 chance of getting it right. I totally blend. I am not significantly fatter or thinner than any other person in this photo. We all look rockin’! The only giveaway might be the bit of extra skin under my chin. You can’t really see it in this smaller photo, but in the original large photo you can see it if you look for it. Typically, I would not be excited to be considered normal. Normal is overrated in my opinion. Be unique. Embrace your inner freak. However, when weight is concerned, I have to admit I like being normal or average or “not afraid the seatbelt won’t buckle in my future sister-in-law’s sister’s car.” I was not tempted to stand behind someone else to hide my body like I used to when I was fat. I also no longer fear looking at photos from events I have attended. Actually, there is a lot less fear in general now. Here’s to a life with less fear! You look great in that picture. I know what you mean about blending in… actually, your hair looks better than all of theirs! It makes me so happy to hear there is less fear…I am still living in the fear and its not pretty. Fear that I won’t fit, fear of nothing to wear, fear of judgement, fear of photos, fear of airplane seat belts, fear of health problems…fear fear fear. I have been reading your blog for awhile now, read through the archives and I can’t even begin to describe how inspiring/amazing/wonderful etc. that your entries have been. I have been struggling with my weight for years and you’ve given my such hope because you’re shown us that there is a light at the end of the tunnel. Plus it’s nice to see someone else around my age (25 this year) going through the journey. There is no doubt in my mind that you’ll reach your goal, I can’t wait to see the pics and hear how you celebrated!! Thank you for sharing your wisdom, humor and positive attitude. PS. Do you know if your book will be available in Canada? You look like you weigh 140 pounds! You’re tall and slender, and if you ever got a total makeover, I bet you could give a supermodel a run for her money. i loved jem! remember how her earrings used to light up? we are the misfits, our musics better! haha :) great post, brought back memories!!! I think what strikes me most from this post is that you’re not afraid to look at photos. I hope I get there someday. Soon. First, you look mah-vah-lus, dahling. Second: I’ve been reading your early posts for inspiration, and am impressed with how your “mission statement” (why I want to lose weight, goals, strategies) has continued to anchor you throughout your journey, even to the recent why-I-still-want-to-reach-goal posting. You are just amazing, and even though I don’t know you, I am so proud of you!!! You remain an inspiration for those of us who aren’t as close as you are yet. Thank you. You look SO good! Wow! You’re right, I would never be able to pick you out as the one who lost all the weight. Oh dear. Apparently I was already quite old in the eighties because I don’t remember this band at all. You look fabulous, and I do not see a bit of extra skin under your chin at all! So just let go of that one completely! that Gem is outrageous. truly, truly, truly outrageous. you on the other hand look svelte as can be! :) woohoo! tee hee-I love that we’re around the same age, and you have the same “vintage” of memories (like your previous post about the Monica song). I actually had Jem dolls, and oddly, they were a totally different proportion than Barbie-waaaay bigger (as in, Jem’s shoes would fit both of Barbie’s feet with room to spare…) Odd the things you remember eh? But I digress….your proportions are certainly fantastic these days! Congrats on shedding pounds and fear! You look great! And I don’t see any double chin! It is nice to be normal and blend in with a group. I can’t wait to that person again and quit having the stinkin thinkin that ‘I am the fattest one in my group of friends’. I hope to be normal by next year or close to it. You inspire me! Don’t get too skinny and disappear on us. 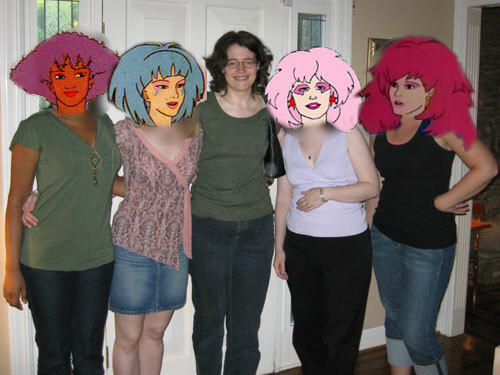 You are close in age to my younger sister and she was ALL about Jem back in the day. Thanks for the great smile you inspired before I even read your post! Girl, you look great and I am love hearing that you FEEL free and good about blending in with the “Normies”. I remember the first time I tried on Levis jeans after my first round with major weight loss – and I wept in the dressing room from gratitude. No more Venezia for me! I could wear “normal people” clothes. So I salute you! Stand right out in front! I don’t see a double chin. You look great. How tall are you, by the way? You’re ready to join the band! Congrats on the “I can look at photos” milestone. wowzer! you look awesome. i would of never selected you as the former fat chick. look at those collarbones, i would die for a neck and shoulders like that -and your smile says it all! proof is in the pudding that hard work, exercise, will power, and healthy eating, as well as a great sense of humor really does pay off. 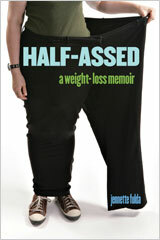 in the minds of the overweight everywhere normal is what it’s all about! O/T Do you still have to wear glasses after eye surgery? I officially just fell in love with you for knowing about Jem (sidenote, maybe I need to raise my standards?). The picture looks great, it must be so nice to go somewhere and not be the biggest one! I’ve been reading your blog for a while and it’s been an inspiration for me, like many others. I too am a tall chick (5’9″) and am currently at 184 hoping to get to 165ish (I’m down from 215). It’s nice to see someone who’s similar in body type and realize that’s close to what I look like as well! It’s hard to readjust after always seeing yourself as bigger. Keep up the good work!! Karen – This photo was taken before my LASIK. As for what Zanitta said, I did have to wear these weird space-age goggles to bed for a week to make sure I didn’t rub my eyes when I woke up or while I was sleeping. 1. You look great. No one would ever know you were heavy ever. And you look really pretty when you smile like that with teeth. 2. Am I the only one who thought the Jem doll was scarily “big” and “fat” compared to the Barbie doll as a kid? I know. Major issues. I totally hide my body behind someone every time I get a picture taken. Great post…lovely picture! yo – I didn’t think the Jem doll was fat, but I did think she was a giant. Maybe she had a glandular problem :) She had more flexible joints though and you could bend her hands and knees more than a Barbie. Plus the flashing earring were cool. Of course, Barbie and Jem could never share clothes, so in that way it was like a fat girl/thin girl relationship. YESSSSSSS! I was so stoked to see Jem that I was driven to comment! With lots of exclamation points!!! I’m almost 22, and apparently at the tale-end of the Jem phenomenon, because almost none of my freinds ever watched it growing up and I cannot understand how they survived missing out on its awesomeness. You look Amazing!! I don’t see any extra skin under that chin! I see a beautiful skinny girl! You look fabulous. I could never tell who had lost so much weight. Actually, I was thinking that you’re looking thinner than a couple of your cohorts. Must be all the running, because look at those legs! I actually think you look thinner than some of the other ladies in the photo. I think it is you very defined jaw and collarbones. I am so envious of a defined jaw. I am working to find my own. God, that’s the best validation isn’t it? You look wonderful. How come you don’t get to be Synergy, though? Totally unrelated to this blog entry….but I got copies of my doctor’s records today and he said I look “well-nourished”, too (mentioned in previous entry). I’m 5’8″ and 135 lbs…not because of dieting, but because of DIABETES. 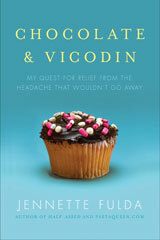 It allows you to eat anything and it goes right out. One perk of the nasty autoimmune disease. Anyway…I think “well nourished” must mean something else b/c I am super super skinny. Kim – I’m also the farthest away from the camera, so that helps me look smaller. I think everyone looks great. I used to play that game, “Is she fatter than me?” a lot, but I’ve mostly stopped now. I always felt a strange mix of pride and self-disgust whenever I compared my size to that of friends. Even if you win, you lose, you know? I remember even at the time really liking the Jem dolls’ shoes because they actually had some substance to them. Barbie’s were so ridiculously small you could hardly identify them as a shoe. I can’t remember her name (I loved her cute white bob, face makeup, and iridescent leggings), but I have a doll of one of the Misfits and I found it under our guest bed the other day. Ah, memories. OK, should have perused the available internet resources. The doll is definitely Roxy. I guess it’s not so much a “bob” though I would swear my doll has shorter hair than the examples I found online. Not that any of this matters.